On May 27-29, 2016 I went to Paleo f(x) for the first time, and I have to say, I had an amazing time! 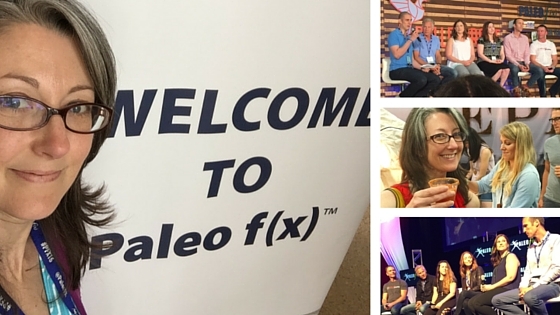 For those who have never heard of Paleo f(x), it is a holistic wellness event that seeks to bridge the gap between the academics of ancestral/traditional health theory and the practical application of those concepts. 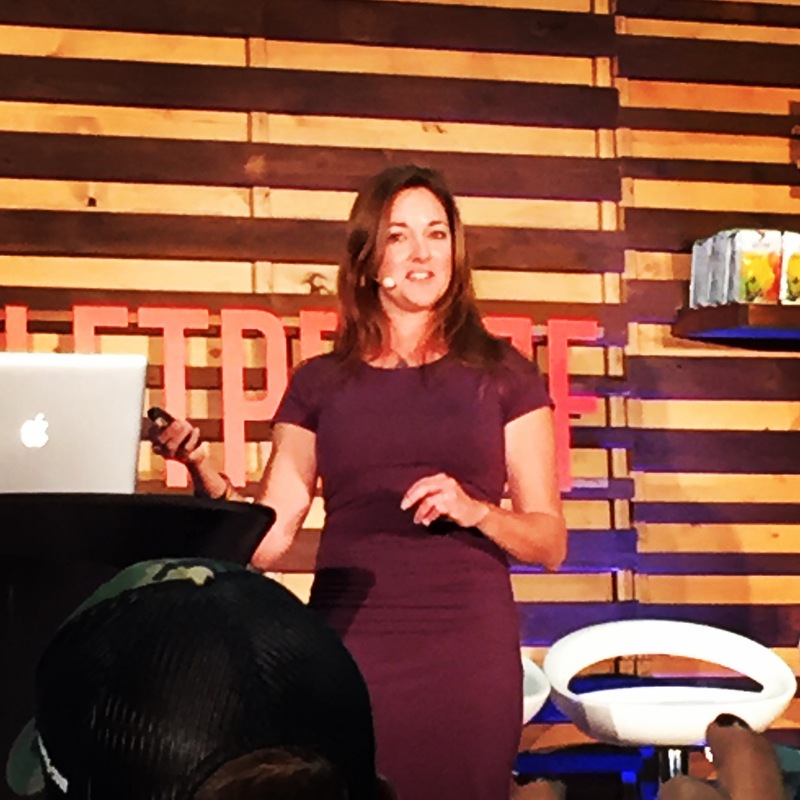 The conference covers health, nutrition, fitness, sustainability, self-development, and much more, and is held annually in Austin, Texas (this was its fifth year). Now, you might be wondering why I attended a Paleo conference. Am I “Paleo”? Well, sort of. For the last three and a half years I have worked for Paleo nutritionist and blogger Diane Sanfilippo (NY Times bestselling author of Practical Paleo and The 21-Day Sugar Detox, and the boss lady behind Balanced Bites), and while I don’t actually define myself as “Paleo”, I believe in the principles of the movement and follow many of them in my everyday life. These include a focus on anti-inflammatory, optimally digestible real food; holistic and natural approaches to health and healing; sustainable farming practices; food freedom; and lifestyle factors such as sleep, movement, and stress management. And while there is a lot of hype and often misguided criticism of the Paleo diet and lifestyle, if you read the blogs and books by leading Paleo authors, you will find a balanced, nuanced approach to modern Paleo eating. For more information read here, here, or here. I enjoyed the conference itself, but for me, the weekend was about much more than listening to speakers and tasting my way around the expo floor, though both of those were fun, too. 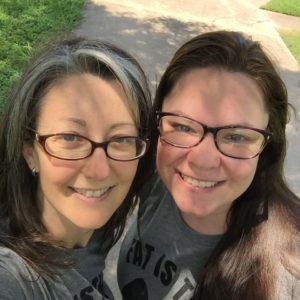 This was my opportunity to meet most of Team Balanced Bites, experience the food scene of Austin, Texas (more on that in another post! ), and really think about the direction my own blog is headed. So allow me to share with you the highlights of this very special weekend–I hope you find something here that inspires you, sparks your curiosity, or makes you salivate. 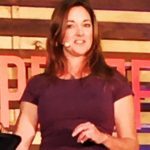 I’ve been to health and wellness conferences before, and this one was similar in many respects with one striking difference: lots of fitness workshops, demonstrations, and speaker sessions. The Paleo diet and lifestyle got a major boost in recognition and acceptance through CrossFit athletes who were looking for a nutritional approach that would enhance their performance, and there are many people who have found their way to Paleo through CrossFit (and vice versa). While exercise and fitness aren’t the areas of wellness that interest me, I do understand their importance for overall health and it was great to see so many people excited about the fitness-focused offerings at the conference. Beyond the fitness aspect, there were many speakers and panels that focused on creating sustainable systems for achieving and supporting optimal health. There was truly something for everyone, from health practitioners to “regular people” to bloggers and business people looking to network and connect with other like-minded folks: workshops; small, short talks; cooking demonstrations; longer, more involved presentations; and panels of experts who weighed in on a variety of topics. Read on for my favorite sessions! The microbiome (the bacteria and their genetic material that live in our gut) is key to brain health, function, and disease resistance. In other words, we need to create an environment within our digestive tracts to support and nurture these beneficial bacteria because they keep our brains functioning well for the long term. There are over 100 trillion bacteria in our bodies! There are more bacteria in our guts than there are cells in our bodies. The food we eat feeds those bacteria; we need to choose foods that create a hospitable environment for the beneficial bacteria to thrive (unprocessed, low sugar, nutrient-dense). Crops like bananas, coffee, and chocolate are often produced through child slave labor and harsh working conditions; it is our responsibility as consumers to think about how our food is grown and harvested, and to make choices that lead to improved sustainability and better working conditions for all. Paleo is not about “eating like a caveman.” A modern Paleo diet follows a dietary template that looks to evolutionary biology to inform nutrient-dense choices to lead to optimal health. We need to ask ourselves what a particular food offers us: will it help? Will it harm? 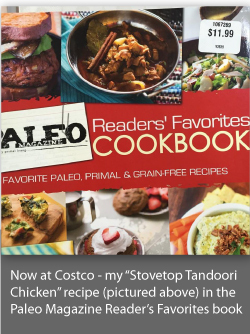 Paleo continues to be an evolving lifestyle movement, and it is our responsibility to continue questioning conventional wisdom but also to accept and incorporate new truths revealed through scientific advancements. Food freedom (meaning our ability to choose how and where our food is produced) is of utmost importance if we want to create and maintain a system of high quality food. When considering questions about vaccines, GMOs, and other medical and health decisions, there are no right/wrong, good/bad choices. We need to be well-informed, but realize that we can come to different conclusions about what is right for us or our families, especially when there is no clear, definitive scientific conclusion (and the jury is still out on many of these issues). I also enjoyed the chicken slaughtering and butcher demonstration! The expo floor of any conference is fun and interesting, and this one was no exception! My favorite part was trying all sorts of products that I have seen (or not), but that I hesitated to purchase because I wasn’t sure whether I, or my kids, would like them. There were lots of national brands as well as Austin and Texas-only companies (many of which I hope will expand soon!). And the swag bag? Amazing! 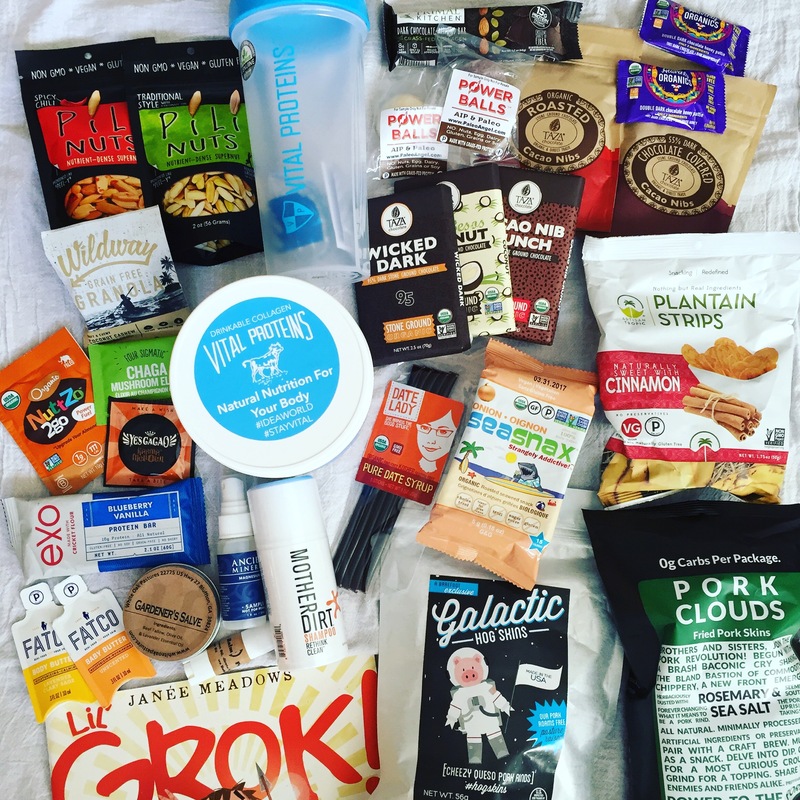 Samples and full-size products from Vital Proteins, Mother Dirt, Ancient Minerals, Primal Kitchen, and more! I loved the variety of products: broths, coconut and cassava-based baked goods, bars, meats, protein powders, skincare products, supplements, spices, and nut butters, pork rinds, and plantain chips (to name a few). My faves from the floor? Taza Chocolate: High quality, organic, direct trade (with third-party certification), soy-free chocolates. Oh, man. I walked by this booth several times and the ladies there were the friendliest! I had purchased the Sea Salt and Almond bar for my trip to Austin, and I came home with three more bars plus raw and chocolate-covered cacao nibs. Seriously good chocolate. Power Balls from Paleo Angel: nut-free, AIP-friendly macaroon-like treats in many flavors. I love the Snickerdoodle, Blueberry, and Vanilla flavors. My kids couldn’t get enough of them either! These would be perfect for lunchboxes because they are nut free. And the owner, Amy, is a sweetheart! Wildway: Granola and instant grain-free cereals sweetened only with dates; this was by far my favorite granola at Paleo f(x)–and there were several to choose from! Great balance of flavors and not too sweet. The Coconut Cashew was my fave flavor. Real Natural Brands: Soaps and cleansers made with saponified oils and scented with Mountain Rose Herbs essential oils. Beautiful, great-smelling, and excellent for the skin. Can’t wait to use these! Follow me on Instagram and Facebook to see more about individual products when I try them. The team I work with is scattered all over the US, and as a result I had only met two members of the 10-person Balanced Bites team (and one of those included Diane). It was such a pleasure to meet everyone who was able to make it to the conference! We shared some fun memories and lots of good food, and now we can visualize and hear each other’s voices as we message and email over the interwebs. 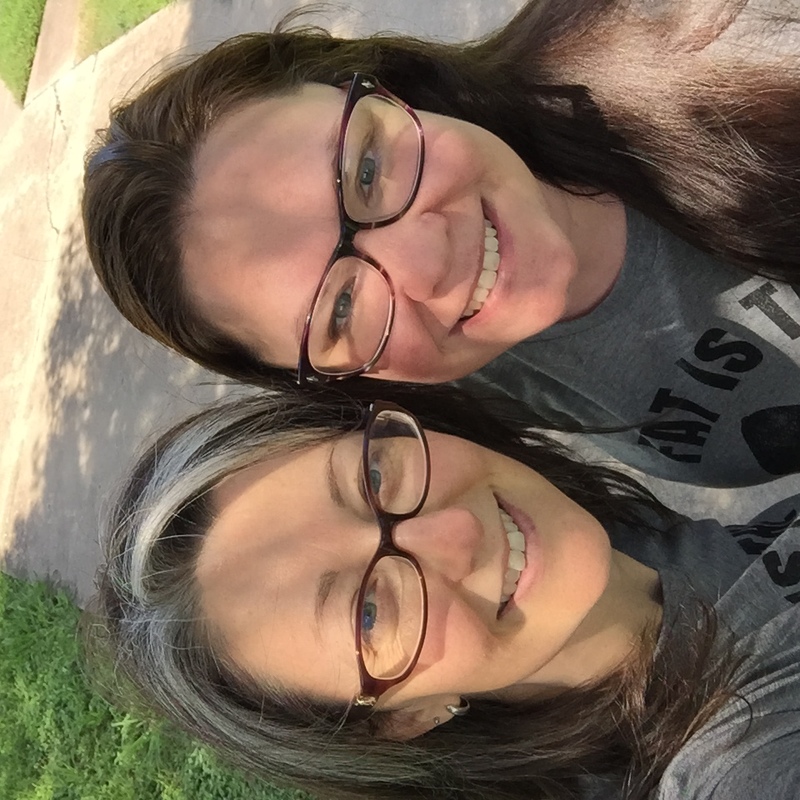 I didn’t take many pictures of people…but Amanda and I bonded and took a selfie the last day! I still don’t know. And that’s okay. I’ve been mulling over what’s next for me, but the only conclusion I come to is that I want to connect with all of you more consistently and create recipes and resources that will make your lives easier, happier, and more interesting. This trip inspired me and gave me a much-needed kick in the pants to get moving on some of the projects and recipes that I’ve started but not completed. So, if there’s something you’d like to learn from me, let me know in the comments! I’m curious, are you making any new changes to what you eat based on any of the information you heard at the conference? I have a renewed appreciation for and interest in incorporating more bone broth into my diet, and I will be making some changes in how I source some of my food based on sustainability and fair trade issues (especially bananas and chocolate!). I also realized that I had gotten out of the habit of shopping at the farmer’s market, which meant that I was not eating as seasonally, and I hadn’t been eating as many vegetables as I had before; I went back to the farmer’s market last weekend and it was so invigorating to get a huge variety of produce without having to buy large quantities of everything. Mostly, though, I heard much of what I already knew, but it’s good to be reminded now and then.